In this age of technology and social sharing, it is not surprising that at least one social media platform is used by 94 percent of small businesses. Perhaps more surprisingly is that 85% are tied to a cloud storage provider – thus simplifying their digital lives. 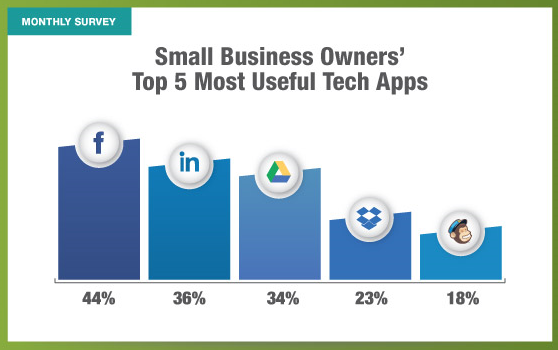 Survey compiled data from small businesses, primarily with one to ten employees. Here are the results of the survey. The results appear below in rank order from highest to least used.